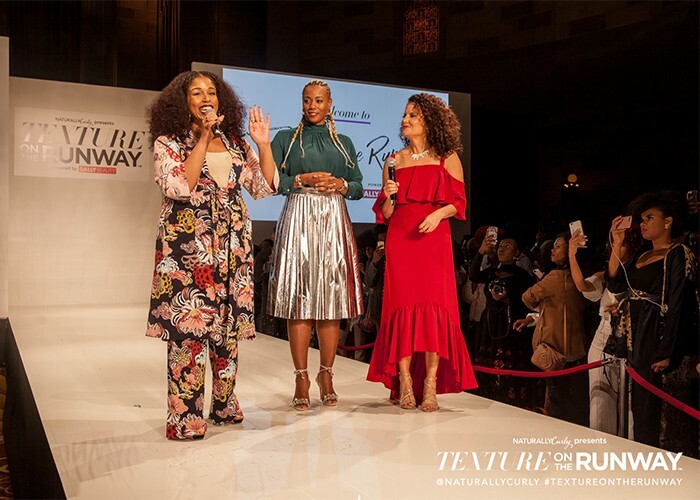 NaturallyCurly’s annual Texture On the Runway is quickly approaching, and while the brands are busy planning their runway collections we’re busy figuring out what to wear and do with our own hair! 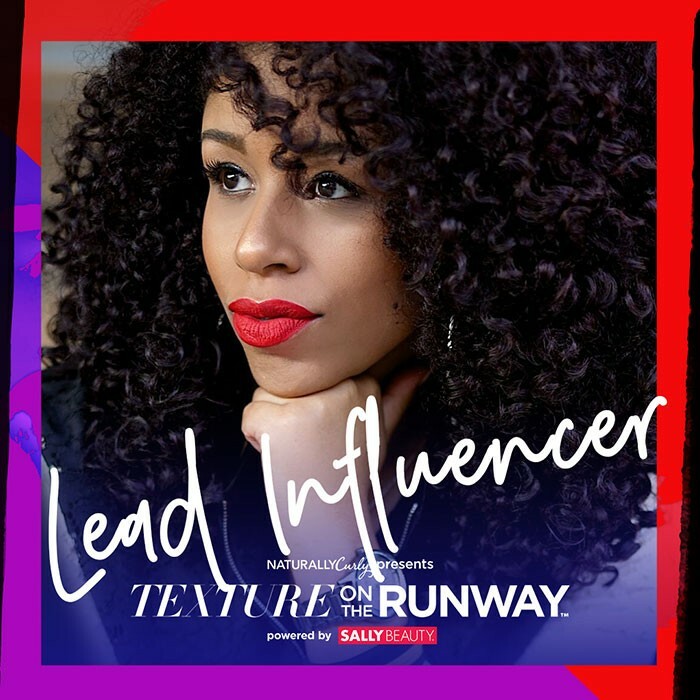 Texture On the Runway, powered by Sally Beauty, is the place to see and be seen in the curly hair community, so you want to make sure you look and feel your best (and so do your curls). I recently chatted with Monica, the founder of MoKnowsHair and this year's lead influencer, to see how she’s prepping for the big night. As a licensed cosmetologist, a natural hair community icon, and last year’s co-emcee, I can’t think of anyone better to get the scoop from. You’ve emceed Texture On the Runway before, what stood out to you about this event? I think what makes TOTR different from other fashion week events is that it does feature style and hair on women of color, particularly African American women. We typically are not featured in the fashion space, so this is an opportunity for us to show our style. It’s an opportunity to show the versatility of textured hair - in all types of styles - and to share that influence with the world because a lot of cultures pull from our style and influence, and we aren’t always given the opportunity to be represented. I really like how the brands go all out on the stage show, we’ve had singers, we’ve had dancers, I mean it’s just so cool to see their level of creativity and how they mix in hairstyles with a theme and bring it all to life. I feel like they do such a great job on the costuming, everything. It’s really cool to see this side of the brands and Sally Beauty - you’re used to seeing products in stores, but here they get to showcase their personality. Do you have any advice for first-time TOTR attendees? Bring a portable phone charger! Because you will definitely be using your phone a lot, you’ll want to take lots of pictures because it’s such a beautiful sight. Make sure you have your phone charger so you don’t lose out and come ready to be inspired by all of the looks. What other must-have items or products do you bring in your purse the night of? Before the event I’ll usually apply Ardell lashes for any beauty look, and the Ion Luxe Workable Shine Hairspray, and I like to bring Palladio Rice Paper Blotting Tissues and a hair pick with me. What hair and beauty trends have you been seeing and loving most this year? I love the artistic ways people are treating their hair as an accessory, rather than sticking to just a couple of styles. One of the cool trends I love seeing is the use of temporary color for adding pops of color to your look. It makes it more artistic without having to bleach the hair to achieve the color. I’m also seeing a whole lot of hair accessories with braiding – chords, beads, jewels - to give hair more of an artistic flair. Overall I think it’s really cool how trends within the natural hair community have been evolving. In the beginning everything was a lot more focused on creating a “perfect” style. Now people are becoming more comfortable with their natural texture, “whatever it looks like is what it looks like and it’s beautiful.“ Right now there’s a big focus on taking care of your hair, not making it look like someone else’s. Do you know what you’ll be wearing or what you want to do with your hair yet? I actually don’t know what I’m wearing yet! I like to wait and see how I’m feeling closer to an event. Sometimes I might see a picture or something on TV that inspires me, it doesn’t have to be clothing related - a color, or a pattern to spark some interest - and then I’ll try to hunt down a piece and build around it. We can’t wait to see what you come up with, and look forward to seeing you at TOTR! I’m excited to see what Sally Beauty and the brands come up with this year, definitely. I don’t know how they’re gonna top last year, every year the stakes get higher!